Other than St. John Bosco, for various reasons, the only other CIF state title team to also finish No. 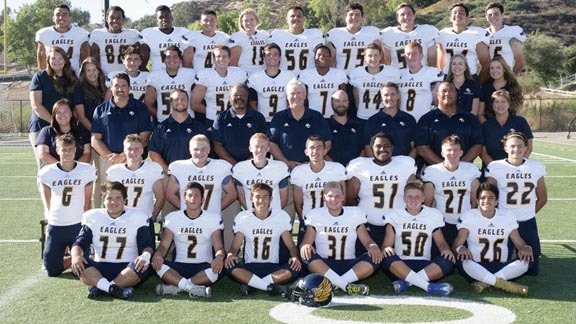 1 in one of our five statewide divisions is Rancho Christian of Temecula. Photo: ranchochristian.org. We really did try to have CIF state champions No. 1 in all five of these divisions, but weren’t going to switch teams in divisions to do it. Once we established which teams were in which of our five divisions based on section playoff divisions it didn’t seem fair to switch them around later on. Final No. 1 teams in these divisions therefore are St. John Bosco (D1), Edison of Huntington Beach (D2), Calabasas (D3), Sutter (D4) and Rancho Christian (D5). Note: These teams are broken into our five divisions based on section playoff divisions, some enrollment and where they’ve been in recent years. You can say they are competitive equity except for Division V. We just refuse to put schools with huge enrollments that low. Examples for that would be Santa Ana, Arroyo of El Monte, Franklin of Los Angeles, etc. The lowest division we’ll place a school with a large enrollment (especially those above 2,000) is Division IV.